This is my PurrForm complete raw cat food diet review. I decided to re-focus on my cats’ diet to try and get the best possible dietary nutrition for them and so contacted PurrForm , a company who are specialists in feline raw cat food and nutrition, to see if they would send a few trial packs my way to review. I have always been interested in cat food labelling and did some extensive research a while back which readers can see HERE on my feline and grooming behaviour advice blog. It has always fascinated me how many unnecessary products are mixed into commercial cat foods as bulking agents and how little real meat actually gets to our cats’ bellies! It was one of the reasons I started researching and digging deeper and so finally, having made up my mind, I jumped feet first into the world of the raw cat food diet. WHY IS A RAW DIET THE BEST DIET FOR HEALTHY CATS? Cats are obligate carnivores, which means that they need certain nutrients that they cannot synthesise. These are only found in meat. All cats are hardwired to hunt, kill and eat. In the wild they are the ultimate predators and their survival and health depends on eating the flesh and bones of their prey. The study of a cat’s anatomy shows the unique design of the teeth and jaws are for ripping meat from bones with the digestive tract designed specifically for meat consumption. Sourcing the meat ethically for a raw cat food diet is something a vegan (me) can do should they wish to A: have a cat and B: feed it the appropriate diet for its species. US cat behaviourist, Jackson Galaxy, also a fellow vegan, advocates a raw cat food diet on his excellent website. An excellent book that goes in-depth on feline nutrition is ‘Feline Nutrition. 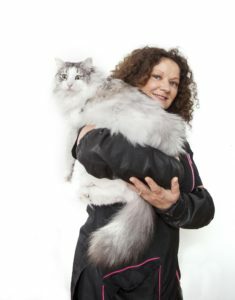 Nutrition For The Optimum Health and Longevity Of Your Cat’ by Lynn Curtis. What does my vet, Dr Andrew carmichael at Addisons Vets, feed his cat? RAW chicken wings. Raw bones can be digested but cooked bones are hard and sharp and can splinter in a cats mouth and throat causing obstruction. For this reason never give your cat cooked bones as this is DANGEROUS!!! This is Kiki and Zaza. 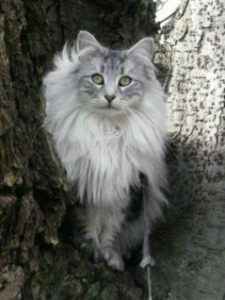 They are Norwegian Forest cats and are 10 years old. They have been used to a commercial cat food diet all their lives. They are usually fed Thrive Complete, Lily’s Kitchen complete and a few complete high quality high meat kibble. They also get a few Thrive Freeze dried treats. I don’t believe in a dry only food diet and I don’t buy into the myth that dry food cleans a cat’s teeth but that’s a whole other issue and blog!! You can read about my thoughts HERE. 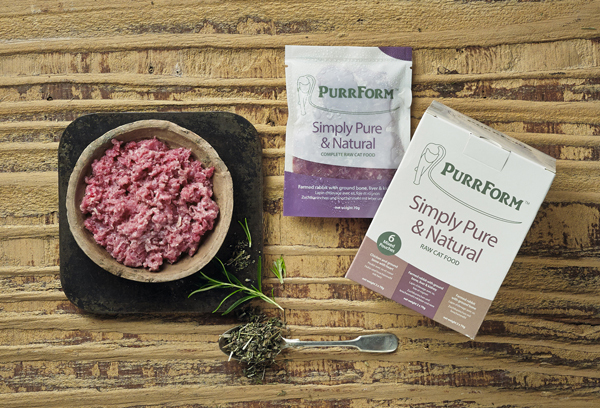 PurrForm offers complete raw cat food to cat owners in a variety of ways including a standard and premium range. On advice from a representative at Purrform I went for the rabbit and ground bone pouches to begin my cats on the journey to the best optimal diet for their species. The food was speedily delivered to my door in a sturdy box full of ice packs and 14 pouches to get me going. The transition was easy and took 7 days although it differs with all cats. The key is patience and slowly introducing the new diet like you would any new cat food. I mixed 10% of the raw food in with the commercial food as advised and increased the percentage as I went along. My cat Kiki, the large white one on the right in the photo above, loved it right from the start and is now on fully raw. My cat Zaza, the grey one on the left in the photo above, is taking a little longer and, I would say, is on 50/50 at the moment. To encourage her I have been sprinkling ground Thrive freeze dried treats on the top and this seems to be working well. 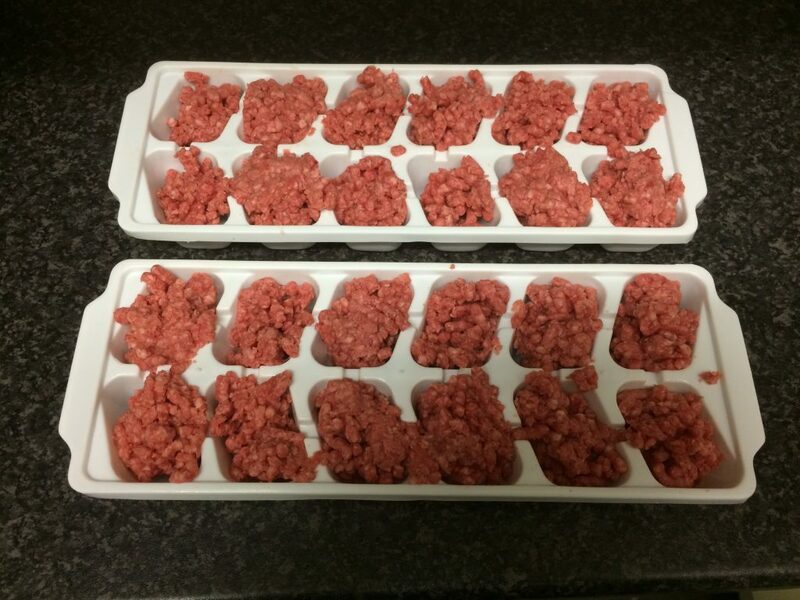 My portions, when making my own, went into ice cube trays. 2 cubes per session each although some cats may wish 3 ice cube portions each per session (depends on cats weight and how many feeding sessions per day). Each night I took out the amount of food from the freezer to defrost for the next days feed. Take out the meat 20 mins before serving to get meat room temperature. Cats will not eat fridge cold food. You can also add a tiny amount of hot water from a tap to make meat appear warm (fresh prey temperature). The videos below were taken on day 4. I know it’s been a short period of time since starting the raw diet but I have noticed a difference in my cats general activity levels. They are playing more so seem to have more energy and interest. I am hoping Kiki’s weight will reduce which will happen naturally over time with renewed energy and the correct diet. Their fur seems in excellent condition too. Kiki had a problem with biting into her fur a lot, one of the reasons I made the switch to a raw diet, and this has been an issue my vet and I have been trying to get to the bottom of for a while now . I always thought it might be diet related and may be something to do with inflammation of tissue/joints. This issue, I can say hand on heart, has noticeably decreased and only time will tell if it stops completely. As part of this process I also started to explore the making of Kiki and Zaza’s food, seeing as PurrForm sell cuts of meats for this very purpose. When making your own recipes it is important you get the right advice regarding adding the correct nutrients/supplements because these depend on the cuts of meat you are using. PurrForm sell the added supplements but buying a cat raw food recipe book will state which supplements need to be added to which meals. 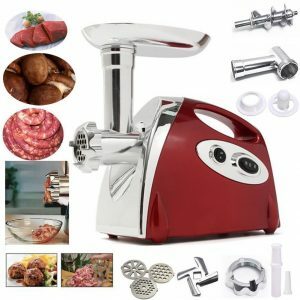 Making your own raw cat food will need a meat/bone grinder and various other utensils. As a vegan I sourced my meat from a local butcher who only deals with free range grass fed animals. This works out more expensive but for me it is important I source my cats raw diet as ethically and morally as I can, whilst following my own beliefs and path. Really happy. 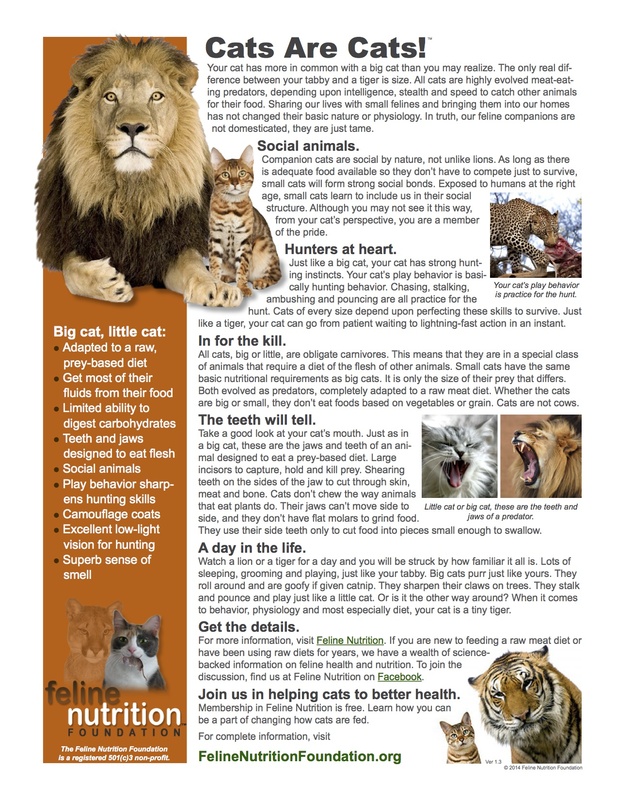 There products offer the cat owner the very best high quality complete raw cat food with a wealth of advice and support. The delivery was quick and well packaged. The pouches are a great idea, very convenient and my cats are liking the process, especially Kiki, who cannot wait for her mealtimes now!! Thanks to PurrForm for sending me their product for review. I hope you have enjoyed reading my PurrForm complete raw cat food diet review. Thanks for dropping by. 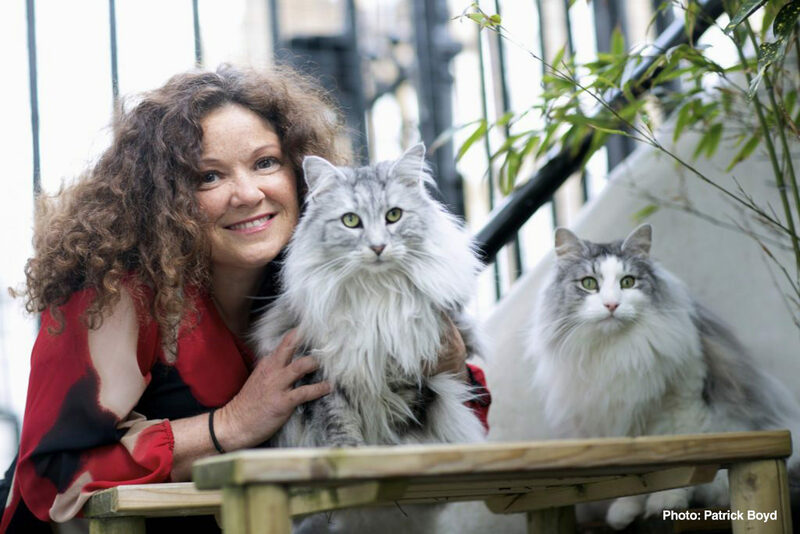 For for further advice on all things cat why not visit my feline advice page!